Now that you are the Manager, what will be your legacy in the Manufacturing field? Manufacturing efficiency, warehouse efficiency, efficiency in production lines; as Managers, we strive to increase effiency in every facet of the business, especially in manufacturing whereby shaving even a slither of time (even by seconds or minutes) from each process, creates a knock on effect down the line and can increase overall production significantly. In the manufacturing and warehousing field, efficiency is the alpha and the omega. The more efficient a company is at meeting their goals, the more success they will have, which in turn opens the door for a wide array of other ventures. With this in mind, it’s important to consider your legacy of operational efficiency. When you are no longer with your organisation, will the company be more or less efficient than you left it? 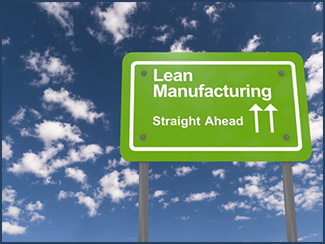 Improving your legacy of efficiency in manufacturing and warehousing requires two elements: creating and executing the right policies, and installing the right equipment. Here are some examples of how companies in the past have been able to improve their effectiveness by changing some of their operational policies, improving their legacies for the better. Fuji Xerox was facing a problem: they were losing out on a ton of revenue by throwing away components that had even a slight bit of damage. Not only was this policy costing Fuji Xerox money, it was also having a serious negative impact on the environment. In response, a team of leaders at the company decided to change their policy on re-using discarded components, in an effort to improve revenues and minimise environmental impact. Fuji Xerox opened an eco manufacturing centre in Sydney that now accounts for 80% of its spare parts requirements, and the company was able to reduce overhead tremendously with this change in policy and successful execution. Adnams Southwold is a U.K. brewery that has been around for decades: the company also offers guided tours and owns several hotels in its home county of Suffolk. In 2007, Adnams launched a project to create a new distribution centre, which the company would use to create the first carbon-neutral beer in the United Kingdom. Not only does the company source all of the hops for their beer from nearby fields, engineers at the company were able to assess each stage of manufacturing to minimise the amount of CO2 emissions produced during brewing. Adnams Southwold has also greatly reduced the amount of water it uses to brew beer, down to 3.1 pints per single pint of beer: most breweries take around eight pints. The company’s new operational procedures not only lead to a lower cost of production for the company, it also opened them up to new distribution deals that broadened their market share. As you can see from these examples, creating a new operational policy can make drastic positive changes in the way that manufacturing companies work. In some cases, a well-executed policy change can even rescue a company in danger of shutting its doors. Install new equipment: you can create and implement all the policy that you want, but if you don’t have the equipment to help you sustain this change it won’t do much. Using tools like Movidor high speed roller doors, for example, you can increase operational efficiency by reducing the amount of time it takes for members of your organisation to get to the different areas of your facility. Remax is committed to doing everything possible to make sure that your operational legacy is a positive one. We have worked with Australian businesses of all sizes to help them make sure that they improve their efficiency, which in turn benefits the entire economy and strengthens Australia’s position in the global market. Read about how Clipsal, in South Australia, optimised their warehouse to increase overall production of their busy facility, click here. Find out why Greenhams butchers, in Victoria, installed Bi-Parting doors in their facility, Click here.